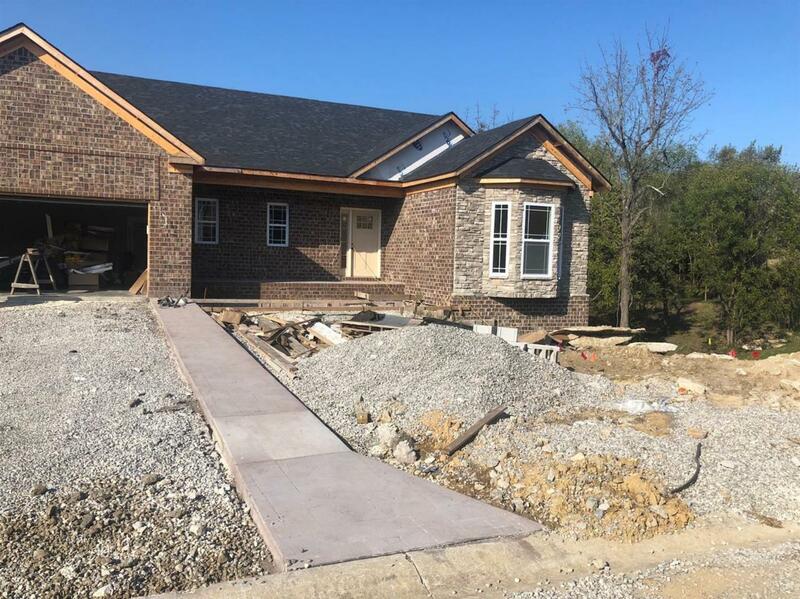 153 Castlewood Drive, Richmond, KY 40475 (MLS #1820074) :: Sarahsold Inc.
Another beauty by Three Keys Construction! Ranch on an unfinished basement is completed with Great Room with stone and ship lap natural gas corner fireplace open to kitchen with an abundance of cabinets, quartz counter tops and a huge island. Stainless steel appliances in kitchen including a gas range. Vaulted great room and dining room. Great master suite with walk in closet, tiled shower. Full size laundry room. Engineered hard ones in common areas on main floor, full unfinished basement. Electric and Gas dual heat, tankless gas water heater, 2 covered decks and a front porch. Large lot with trees along the back. THIS IS NEW CONSTUCTION. SEE PICTURES FOR 149 CASTLEWOOD DRIVE FOR COMPLETED CONSTRUCTION. MAIN FLOOR FINISHES WILL BE SIMILAR. Listing provided courtesy of Kathy Marshall of Keller Williams Legacy Group. Listing information © 2019 LBAR Multiple Listing Service. All rights reserved.